I’ve lost count of how many emails I’ve received from people flying into Las Vegas, asking where to get craft beer here. Serious Eats just posted an article I wrote, talking briefly about six different spots that I think should be on any list for Las Vegas craft beer. Keep in mind though, this list is far from complete, as there are plenty of places with great beer menus. Places like Burger Bar in Mandalay Bay, Holsteins in Cosmopolitan, and The Pub in Monte Carlo are a couple more examples for places on the strip that have a great beer menu. Off the strip, there’s places like The Dillinger, Money Plays, and Freakin Frog that also have a great beer list. If you’re looking for bottle shops, in addition to Khoury’s, the Las Vegas Boulevard Whole Foods is always my go to spot, and for most people, there’s a Total Wine nearby that’s a trip too. 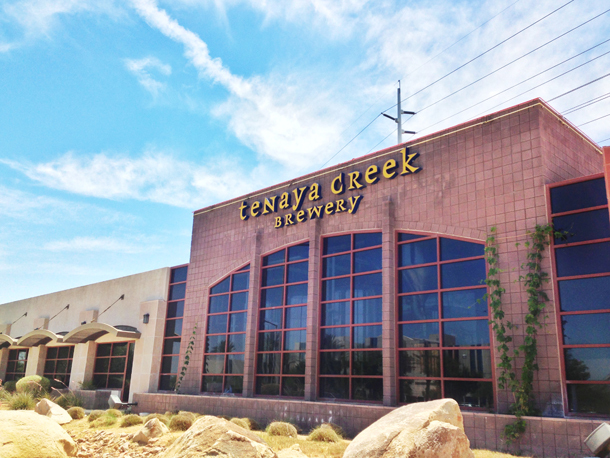 There really is a great beer culture here in Las Vegas, as long as you know where to look. The Serious Eats article can be found here.